Volcanoes expected to erupt within days. Two volcanoes are about to erupt almost simultaneously, spewing massive quantities of ash and soot into the air. Scientists have warned that Mount Agung in Bali, and Manaro Voui in Vanatu are both about to have major eruptions. People are being evacuated from both volcanoes. Over 120,000 people have been evacuated on the island of Bali, away from the slopes of Mt. Agung, which is about to erupt. LOS ANGELES, CA (California Network) -- Two major eruptions at the same time are about to fill the atmosphere with ash and dust in the days to come. Mount Agung in Bali, and Manaro Voui in Vanatu are going to erupt within hours to days. Scientists are warning both eruptions will be major, and evacuations have begun in both places. In the tourist enclave of Bali, Mt. Agung threatens a potentially catastrophic eruption. Activity suddenly intensified with multiple tremors warning people of the pending eruption. About 120,000 people live in the 12-kilometer danger zone drawn around the volcano. There are also 30,000 cattle which graze the volcano's rich, green slopes. Cattle are used as a store of wealth for the local people, and some have refused to leave their cattle behind. The Indonesian government is working to relocate as many of the cattle as possible, and they have moved 10,000 so far, by government estimate. They hope to move 20,000 before it is too late. Why is YouTube censoring the BIBLE? The area is already experiencing hundreds of volcanic earthquakes per day, so experts think the eruption is imminent. The government has also warned its people the eruption is imminent. 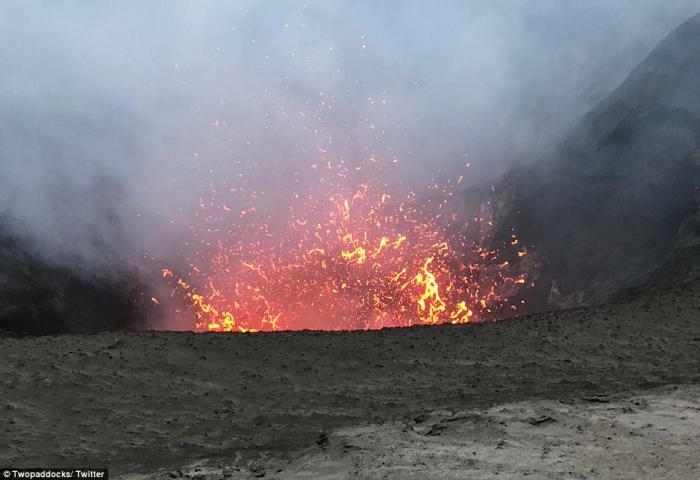 The eruption is expected to be large, so anyone who does not evacuate now will probably die. Mt. Agung last erupted in 1963. That eruption, which took a month to arrive following the first significant tremors, killed between 1,500 and 2,000 people. The island of Bali is a major tourist destination, and the eruption has already disrupted tourism there. Tourists at several resorts have been asked to leave, some in the middle of the night. Monaro Volcano is about to erupt on the island of Ambae, Vanatu. Meanwhile, in the South Pacific island nation of Vanatu, Manaro Voui threatens the entire island of Ambae, which is undergoing total evacuation as of now. The volcano there became active just a week ago, and experts fear the eruption could be major. Scientists warn that toxic gasses from the volcano can silently kill hundreds of people without warning. They also fear falling debris, heavy ash falls, and acid rain. Ash is a particular danger, as it can coat the lungs and suffocate victims. The government is chartering all the boats it can to relocate residents to nearby islands. The plan is to evacuate the island completely before October 6. 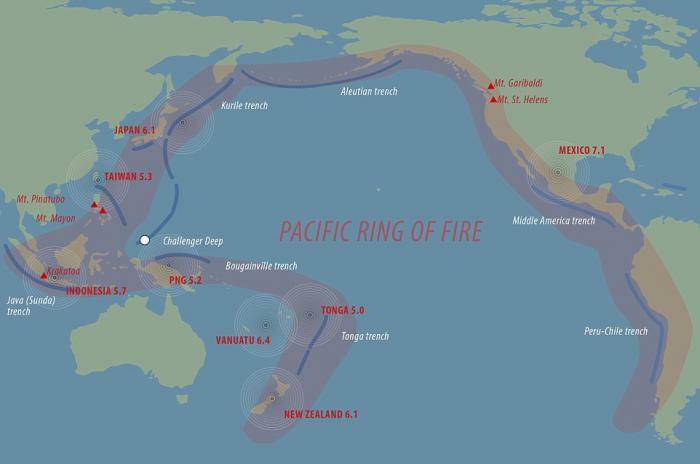 The Ring of Fire, which rings the Pacific rim, is home to most of the world's volcanoes and earthquakes. The eruptions of these volcanoes may be of interest to people around the world. Two major eruptions at the same time could pump large quantities of sulfur dioxide and hydroxide gas into the atmosphere where it will react with water vapor to form aerosol droplets. These aerosols can scatter sunlight, cooling the planet. Ash has a similar effect, but is heavy and does not linger in the atmosphere as long. History is punctuated by incidents where volcanic eruptions have impacted the Earth's climate. Perhaps the most famous is from 1815, when Mt. Tambora erupted. The volcano ejected so much material into the atmosphere that it cooled the planet. In New England, it snowed in June and frost killed crops in August. People called 1816 "the year without summer" because temperatures were so cool. A global food shortage resulted from the abnormal weather and millions of people may have died. In 1883, the eruption of Krakatoa, also in Indonesia (at the time called the Dutch East Indies), the island exploded and filled the atmosphere with so much ash it caused spectacular, blood red sunsets around the world for several years. Many of those sunsets were captured in paintings. The most famous is Edward Munch's "The Scream." It is impossible to tell if these eruptions will impact the climate, as the outcome depends on factors scientists cannot yet measure. However, these eruptions have the potential to do so, especially if both prove to be catastrophic. According to volcanologists, about 10-20 volcanoes are erupting at any given time around the world, but these eruptions are usually of low intensity and long duration, and while they add ash and gasses to the atmosphere, the levels are much less than what is released in catastrophic eruptions like Tambora or Krakatoa.